On Thursday, March 31, 2016, the IR Magazine Awards – US honored excellence in the investor relations profession at Cipriani Wall Street. Wright Medical maintained its small-cap dominance, winning the best overall IR category for the third year in a row. Julie Tracy, Wright’s chief communications officer, was also named best investor relations officer at a small-cap company. At the prestigious IR Magazine Awards, which recognize excellence in the investor relations profession, Wright Medical picked up awards in all three categories in which it was nominated. Wright continues its winning ways at the IR Magazine Awards as the company took home these three awards in 2014 as well. 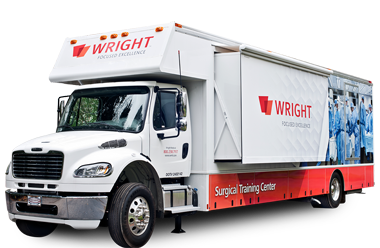 Small-cap company Wright Medical Group climbed more than 100 places in the US Top 100 to rank among the top 10 companies in the country for our Investor Relations program. Wright’s SVP and Chief Communications Officer, Julie Tracy, was named the best IRO at a small-cap company while also steering her firm to the small-cap grand prix for best overall IR program.